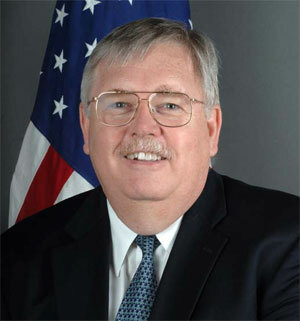 April 27, 2012– The U.S. Embassy partnered with the Blue Diamond Society, Nepal’s lesbian, gay, bisexual, transgender, and intersex (LGBTI) rights organization at a workshop this morning to discuss ways to include the LGBTI community in disaster risk reduction (DRR) and relief programs. 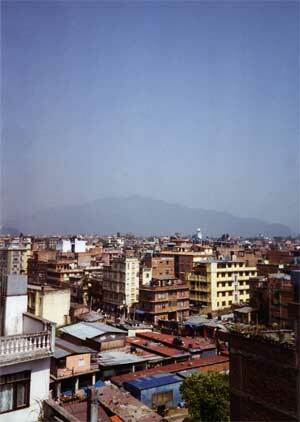 The event, held at the Blue Diamond Society’s office in Lazimpat, Kathmandu, featured presentations from Nepal Society for Earthquake Technology (NSET), USAID, and the Nepal Red Cross Society. Topics covered included Earthquake Risks, Personal Preparedness Measures, and How to Access Humanitarian Assistance. The goal of the half-day workshop was to bring stakeholders from the LGBTI and DRR communities together to discuss how programs could be more LGBTI-inclusive. The Blue Diamond Society was founded in 2001 to advocate for and protect the sexual health and human rights of LGBTI people in Nepal. While research has demonstrated that LGBTI people can be especially vulnerable in the wake of disasters, the U.S. Embassy hopes that by partnering with local LGBTI organizations, it can reach out to communities and reduce risk. Full transcript of the speech is available at here. President Obama explicitly addressed the plight gay men faced during the Holocaust in a speech Monday urging that the atrocities of the genocide “never again” occur. Speaking at the U.S. Holocaust Museum in D.C., Obama included gays as part of the groups of people who were among the estimated 6 million victims during the genocide. 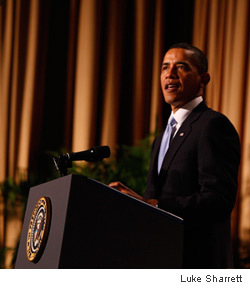 Obama’s speech, delivered to an estimated 250 people, took place days after Holocaust Remembrance Day, or Yom HaShoah, which began Wednesday evening and ended in the evening Thursday. The audience consisted of Holocaust survivors, Jewish community leaders, and organizations that work on atrocity prevention. It’s unclear if any representatives of the LGBT community were in the audience. “Never again” was a refrain that Obama used repeatedly throughout the speech as he called for the rejection of hatred in all forms and the right for free states to exist, including Israel. During the speech, Obama unveiled the executive order he signed earlier in the day authorizing sanctions on Syrian and Iranian companies using internet technology to track dissidents. The president also announced he would award the Presidential Medal of Freedom — the nation’s highest civilian honor — to Jan Karski, a Polish Catholic who witnessed Jews being taken away to concentration camps and personally reported about the genocide to President Franklin Roosevelt. Prior to the speech, Obama was led on a tour of the museum by Nobel Peace Prize laureate and Holocaust survivor Elie Wiesel and Museum Director Sara Bloomfield. After the tour, the president and Wiesel lit a candle and observed a moment of silence in the Hall of Remembrance. Rainbow Bridges, ORAM’s newest publication, shares the rare experience gained by ORAM during its yearlong pilot program assisting resettled LGBTI refugees in the San Francisco Bay Area. The refugees assisted had fled torture, severe harassment, and even execution in their countries of origin. 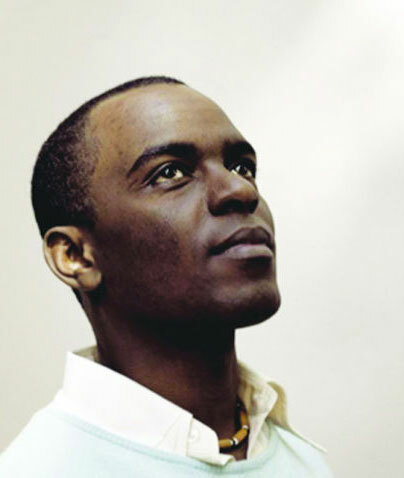 On April 22-25, Nobel Peace Prize laureates will gather in Chicago for the Nobel Summit, and Ugandan LGBTI activist Frank Mugisha will be there to ask the laureates to publicly recognize LGBTI rights as human rights. Mugisha is working to raise awareness about the criminalization of homosexuality in Uganda and other African countries through his work as the executive director of Sexual Minorities Uganda (SMUG). Although LGBTI visibility has increased in African nations, many countries have laws, or are considering laws, that criminalize homosexuality—some with the punishment of death. He believes that one of the most effective ways to stop the sanctioned brutality against LGBTI individuals is through human-rights leaders around the world acknowledging LGBTI rights as human rights. He was disheartened recently when Nobel Peace Prize winner and Liberian President Ellen Johnson Sirleaf was quoted in the Guardian supporting the criminalization of homosexuality and referring to her country’s traditional values. Mugisha received the 2011 Robert F. Kennedy Human Rights Award and the 2011 Rafto Prize for Human Rights from the Rafto Foundation in Norway for his work. He spoke with Windy City Times by email about his upcoming visit. Continue Reading. March 2012- As Ambassador of the United States of America in Kyiv, I would like to express my support and the support of my country to all those who will participate in the first ever Lesbian, Gay, Bisexual and Transgender (LGBT) Pride March in Ukraine on May 20, 2012. It saddens me to note that in many parts of the world, members of the LGBT community continue to suffer violence, discrimination, or persecution because of their sexual orientation or gender identity. As Secretary of State Clinton states, “gay rights are human rights, and human rights are gay rights,” and by embracing diversity, promoting tolerance and fighting prejudice and discrimination, we strive to build a world where everyone can enjoy his or her fundamental human rights. I would like to convey my appreciation to the organizers of the Kyiv Pride March, and I hope that many people, both gay and straight, will join us in this cause. I wish everyone a successful and peaceful celebration.